Download Episode 103: “John Baker, ToeJam, Earl, and More” here! 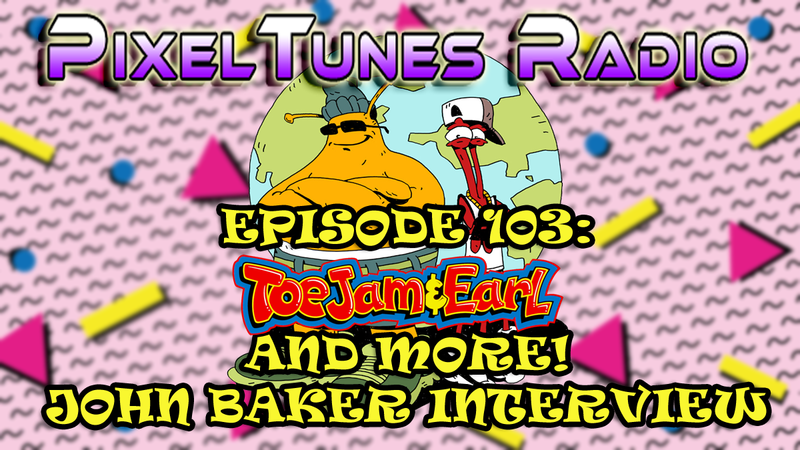 Prepare for the funky fresh style of John Baker, as Mike and previous guest co-host Brian interview the ToeJam & Earl legend himself! They also explore some other games in his catalog, and ask some hard hitting questions about the GEMS driver. The answers are not what you’d expect! We also hear tracks with lots of variety from Baker’s post-TJ&E days. This is definitely one you don’t want to miss! Join our Facebook group to check out extra content from this episode! This entry was posted in Podcast and tagged earl, farmville, genesis, gex, john baker, Podcast, Sega, toejam, VGM. Bookmark the permalink.